I was inspired right from the beginning with this cake. For a start, a very special lady ordered this cake for a friend's daughter's birthday. 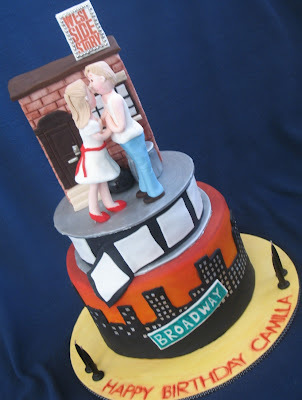 Camilla turned 27 and decided to spend the afternoon celebrating this wonderful day with a host of best friends by going to see West Side Story. I was given a free slate with the design and only told that Camilla loves dancing and that she was going to see the show. So I wanted to capture both. 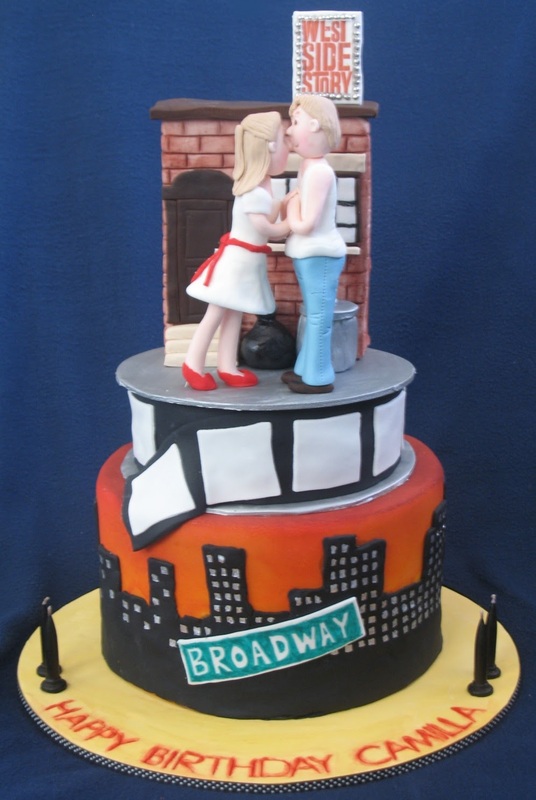 The main part of the cake is a typical Manhattan skyline to typify Broadway. 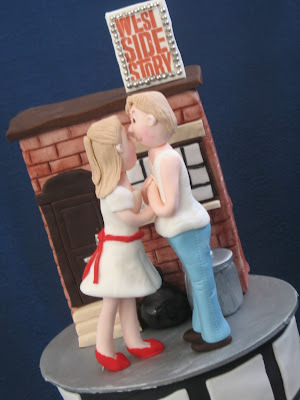 The top layer of the cake is a movie reel to reflect the adaptation to the silver screen and then main top scene is the NY street with the West Side Story billboard and of course, Maria & Tony. The cakes are vanilla with white chocolate ganache. The building was the only inedible part. It is carved styrofoam covered in fondant. 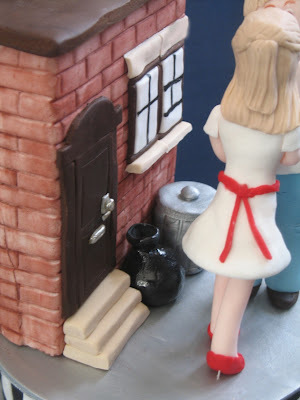 The house details including the door with letter box as well as the typical NY garbage bags and bins. My favourite moment of the weekend! This makes all the LONG hours worthwhile! 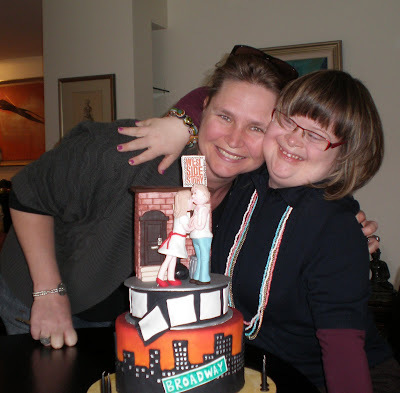 Camilla LOVED her cake and almost bowled me over in her excitement.